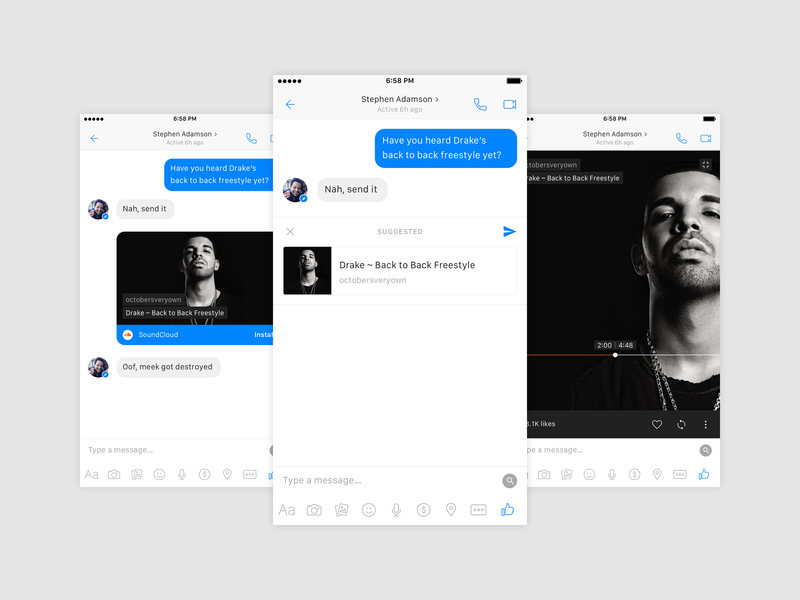 Your favorite media will be accessible in Messenger. Scroll through content cards horizontally, and share in a tap. 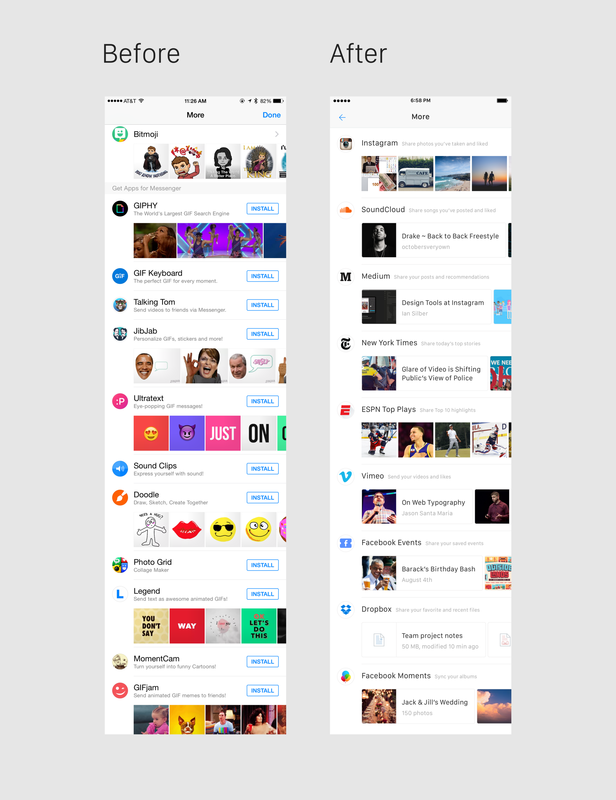 Facebook will multiply Messenger’s utility by expanding its scope beyond GIFs and stickers; Messenger is a natural place for sharing songs, images, videos, articles, files, contacts, places, and plans. Facebook Login will facilitate a personalized experience, providing quick access to your past posts, likes, and bookmarks. Additionally, Facebook’s Instant Articles will rapidly serve content in Messenger, just as it does in News Feed. 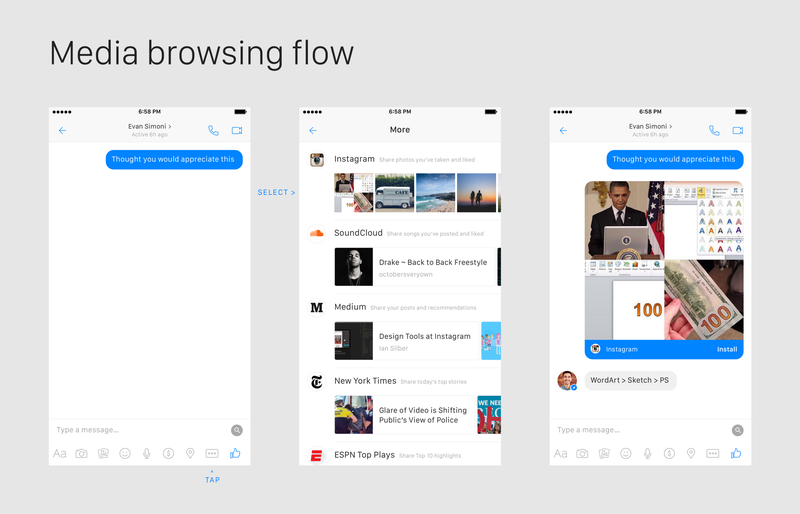 Messenger will expedite and simplify sharing on mobile. 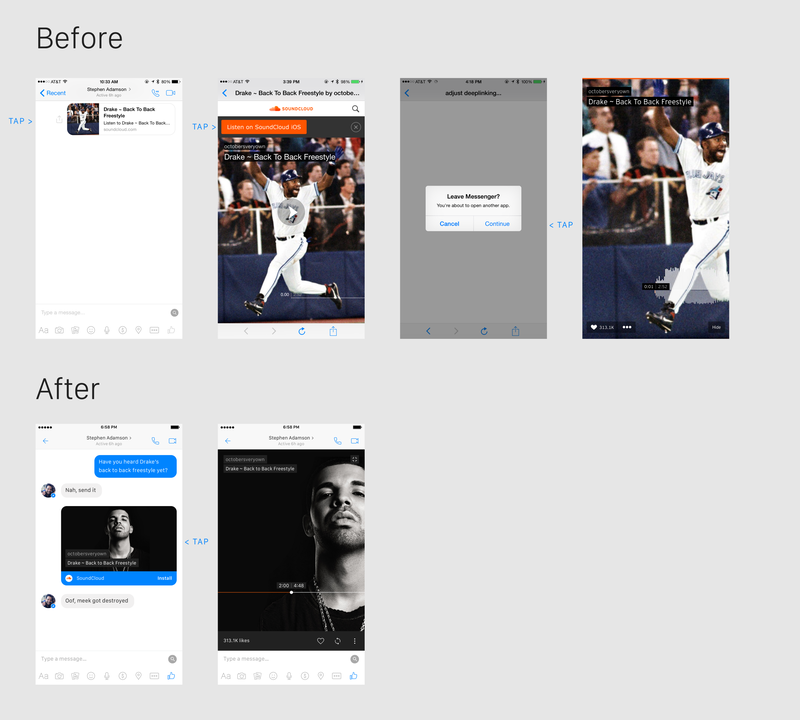 Before: Sharing a song takes 11 steps, across Messenger, the home screen, and SoundCloud. 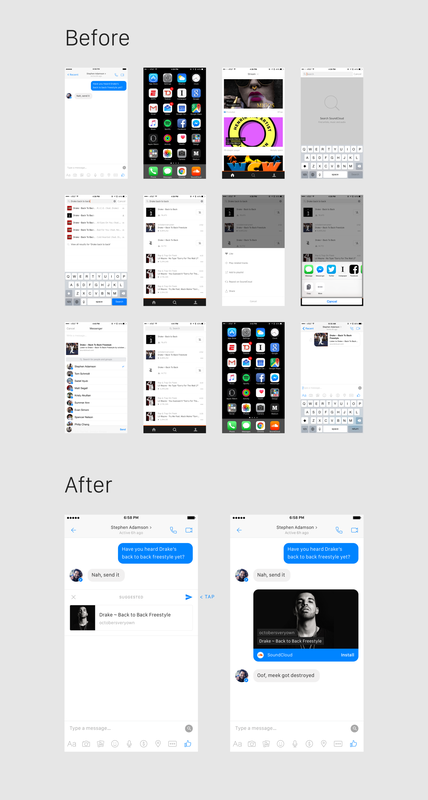 Suggested media attachments (as pictured above) will greatly reduce the amount of time and effort required to share content in Messenger. A new wave of applications including Google Now on Tap, Evernote Context, and wit.ai (acquired by Facebook) demonstrates how NLP and AI can be used to deliver this sort of assistive experience. Content will be actionable within Messenger. The ability to consume content within Messenger will allow you to focus on your conversation. The Like, Repost, and More icons are displayed inline, so you can take action without missing a beat.